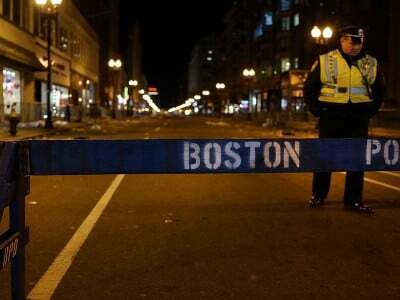 The Boston Marathon bombing is much more important than has been acknowledged, principally because it is the defining domestic national security event since 9/11—and has played a major role in expanding the power of the security state. For that reason, WhoWhatWhy is continuing to investigate troubling aspects of this story and the establishment media treatment of it. We will be exploring new elements of the story regularly as the January trial of the accused co-conspirator Dzhokhar Tsarnaev approaches. The defense witnesses in the Boston Bombing trial certainly have reason to be afraid to testify, given the long official intimidation campaign against them. Yet, ironically, it is now the government that is claiming its witnesses are scared and even unwilling to testify. Unsurprisingly, the judge overseeing the trial against Dzhokhar Tsarnaev has agreed with the prosecutors. Since the Boston Marathon bombing last year, WhoWhatWhy has reported on a pattern of intimidation towards people associated with the accused bombers, Dzhokhar and his late elder brother, Tamerlan. Those connected to the case have been intimidated, deported, jailed, and even killed. It got so bad that Dzhokhar Tsarnaev’s defense asked U.S. District Court Judge George A. O’Toole Jr. for permission to conceal the names of individual witnesses until the day before they’re due to testify. That’s because, the defense argues, they fear the witnesses will be subject to further FBI harassment. The government countered that it was having trouble convincing bombing victims to cooperate. They are “afraid, if not unwilling, to testify against the man accused of dismembering or traumatizing them in a terrorist attack.” Further, the prosecution argued, keeping Tsarnaev’s witnesses under wraps would hand him an unfair advantage. On Nov. 12, O’Toole sided with the prosecution, ordering the defense to disclose its preliminary witness list by Dec. 29. He also announced that jury selection will begin on Jan. 5, when an initial 1,200 prospective jurors will be called in to fill out questionnaires over the course of the next three days. Leaving aside the question of Tsarnaev’s guilt, which has been officially presented as a foregone conclusion with little outside critical analysis of the investigation, his chances at trial are numerically slim. The Justice Department’s latest statistics show a criminal conviction rate of 93 percent.